Seed is the first link in the food and fiber chain. And the chain is only as strong as its weakest link. 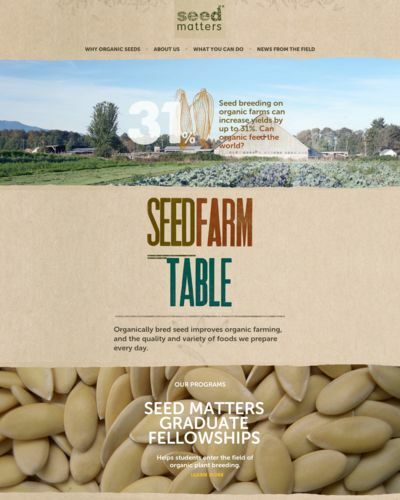 The Clif Bar Family Foundation created Seed Matters to improve the viability and availability of organic seed to ensure healthy, nutritious and productive crops. Together with our partners and folks just like you, we’re making a noticeable difference – from seed to farm to table.